The editorial staff shall make all efforts to prevent irregularities and expressions of scientific misconduct by high attention to the high level of reviewing procedures and the reviews themselves. Also, it retains the commitment to maintaining the confidentiality rules in the reviewing process. Each article for publication in the journal "Journal of Modern Science" is evaluated by the experts.. The editors make a preliminary evaluation of the submitted articles in order to verify the style and technical content but also to make a selection of reviewers. Before submitting material to reviewers, each article is tested in the Internet anti-plagiarism system. 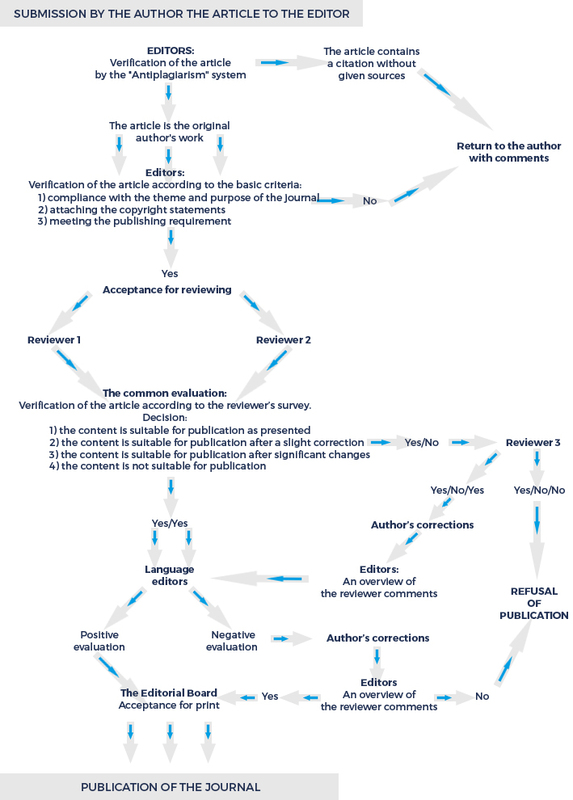 The editor selects the reviewers of each issue of the journal according to the criterion of competence, which as far as possible correspond to the topics discussed in a journal. The knowledge evidenced with significant scientific achievements is not the only determinant of competence. Also, the reputation of a reliable reviewer is will be taken into consideration. The editors selects the reviewer, who holds the title of professor, habilitated doctor or doctor and who is considered a specialist in the field of discussed topics and who has significant scientific achievements in the field. For the evaluation of each publication, at least two independent reviewers from outside the University shall be appointed. The authors and reviewers do not know their identity. Data reviewers of the individual articles and issues of the journal is not made public during the review process (ie. double-blind review process). The editors forward to reviewers the texts of articles together with a form of review and specify a deadline within the reviewer has to send filled reviews. The reviewer fills in the review form. The review of published text, submitted by the reviewer to the Editor, has written form. It contains clear information about the approval of the article for publication or about the rejection. The editor passes the review to the author in order to respond to the comments and for making possible changes in the text. After the acceptance of the manuscript the author transfers the copyrights to the Alcide De Gasperi University of Euroregional Economy in Józefów (WSGE) by submitting the contract. The Editorial Board is taken any action I order to ensure accuracy and compliance with the rules of ethics prevailing in science. All misconduct will be documented and reported to the institutions cooperating with the author who committed them. a) Ghostwriting – hich is a manifestation of scientific misconduct. We deal with it when the share of the author is essential, and yet it is not visualized as the author or co-author or the author is not mentioned in the acknowledgments in the publication. b) Guest autorship (known also as honorary authorship) - which is a manifestation of scientific misconduct. We deal with it when the share of the author is little or not at all occurred, but nevertheless it is shown as the author or co-author of the publication.